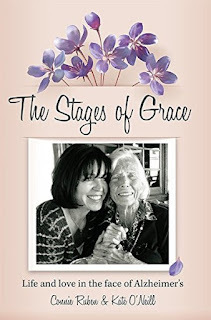 The shared journey your family has been on dealing with Grace's Alzheimer has been long. When along this road did the idea first arise to write The Stages of Grace? How long did it take to move from first idea to begin the writing process? I never thought of writing the book until I found myself in a situation in which I was so physically and emotionally drained and yet a stranger needed my attention. As I was on overload, I went to the airport several hours early on purpose so I could have some time just for me.. I ordered a glass of wine and before I could even take a sip, I noticed the woman sitting next to me was sobbing.. I leaned over to see if I could help her and she informed me her father had just been diagnosed with Alzheimer’s and she was terrified about what lay ahead. I spent the next couple of hours chatting with her and sharing my journey. It was at the end of this conversation that I said, I’m sure out load, “I’m going to write a book”. I’m the type of person that acts on things I am sure of and I purchased a tape recorder within a week and began recording stories. What was your motivation to share this very private and honest accounting of your experiences? Was it hard to share about your struggle with feeling of failure? What I found surprising was that it was the telling of the stories, the writing of the book that helped me appreciate the deep emotional effect of the last many years that I had not faced. I would find myself sobbing and sometimes completely overwhelmed with emotion as I relived the moments. It was also the writing of the story about Margarita, my first caregiver that helped me put the relationship into a better prospective and allowed me to forgive myself. I’m not even sure I was aware that I needed this forgiveness. What was the hardest loss? What was the greatest gift? Watching a person who I loved and respected and who was love and respected by so many reach a place in life where she was more child than adult just broke my heart. Watching my husband as he dealt with his heart break at losing his mother while she was still in front on him was just as bad. The gift came and continues to come as Grace in her disease helps me become a better person. She has taught me a love and a patience I did not know was possible inside myself. 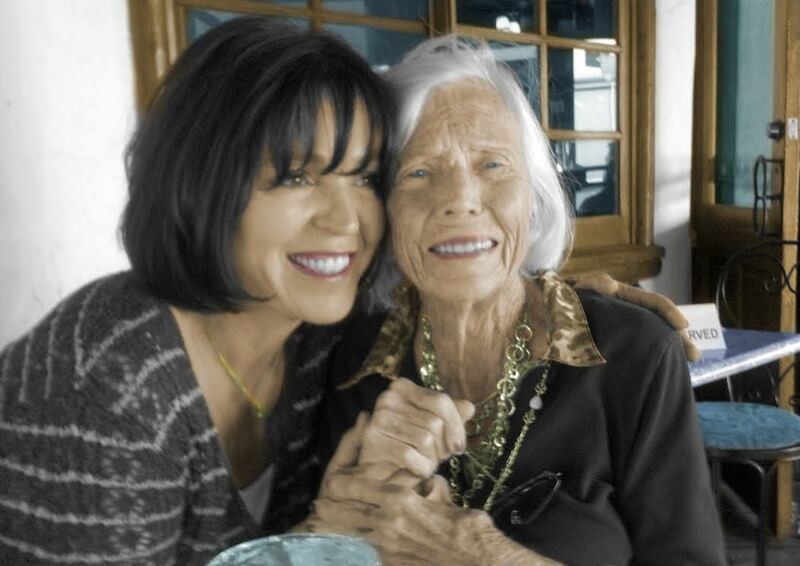 She, in the depth of Alzheimer’s has made be a better person. With such a busy work schedule combined with you and your husband's responsibilities at home supporting Grace, how did you fit in the time to write and edit? It was not easy, especially as I thought it would be.. At the time I started the process, I was walking to and from work each day which took me 30 minutes each way. This gave me time uninterrupted for the recordings to be made. I just walked and talked.. The next part was more difficult as it did take time away from Grace and Peter and sleep. Thankfully, Peter is a closet editor, so having him assist with the process was great and he obviously knew the stories as well as I did. What did you love most about the writing process? What did you like the least? I have to be honest and say that outside of the emotional healing this process provided me, I really did not love writing. It’s not something I enjoy. The part I enjoyed the least was the editing. I just wanted it to be done and if were not for people around me, the book would have been done, but certainly not even close to where it is. As with all challenges we face, there are life lessons to be found. What life lessons have you learned from your journey dealing with Alzheimer? Did the process of writing it down bring any surprise gifts - clarity, closure, peace? We use the expressions “keep it simple”, or “just lighten up” but those words take on a new, more honest meaning in dealing with Alzheimer’s. I have a tendency to try to control my world, and I had to learn sometimes the hard way this was not possible with this disease. As difficult as it has been and though there have been and continue to be times when I just don’t think I can do it anymore, I am also so very grateful for this journey. I’m grateful for all it has given me and the humility it has forced upon me. I’m also grateful for what it has done for my family as our three daughters have watched and I believe they are better wives and mothers for being part of Grace’s life in dealing with Alzheimer’s. What would you most like readers to take away from Stages of Grace? Accept people for who they are, even just in that moment, rather than who you need them to be. You will be happier and have much deeper peace. Any advice for others wanting to write books on their journeys caring for loved ones?